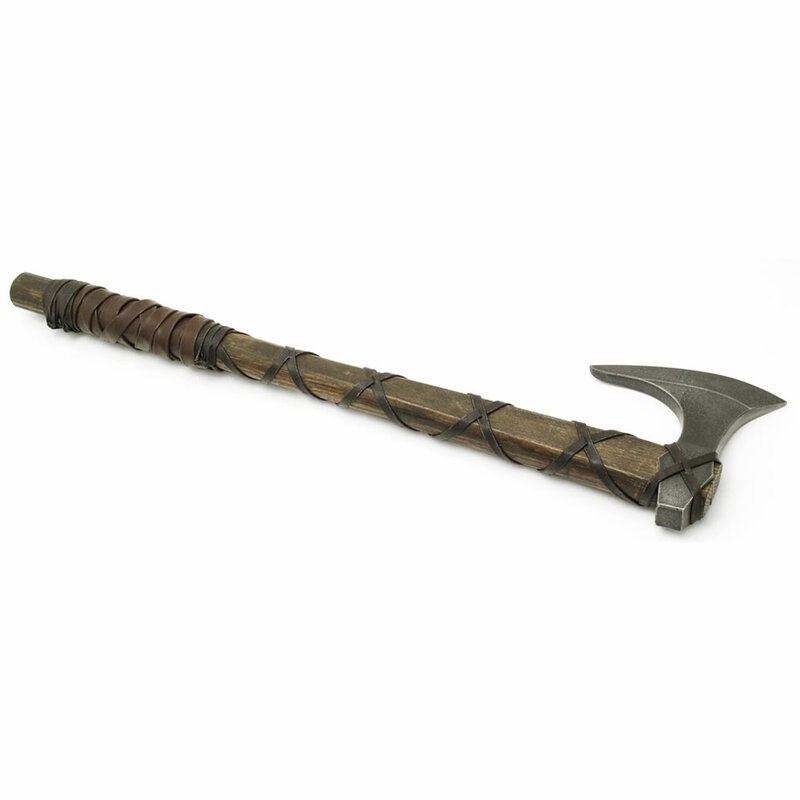 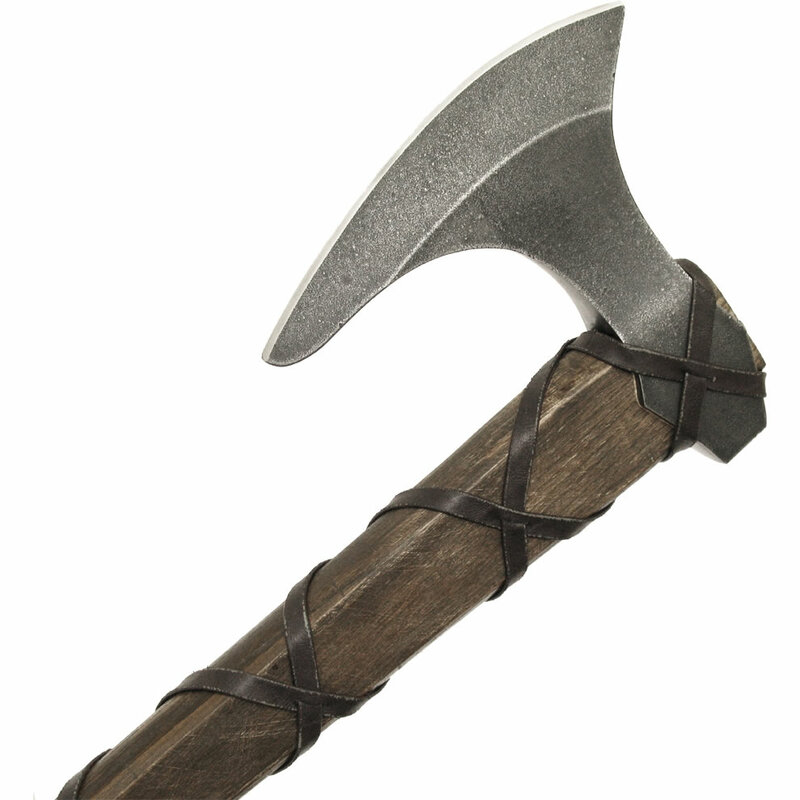 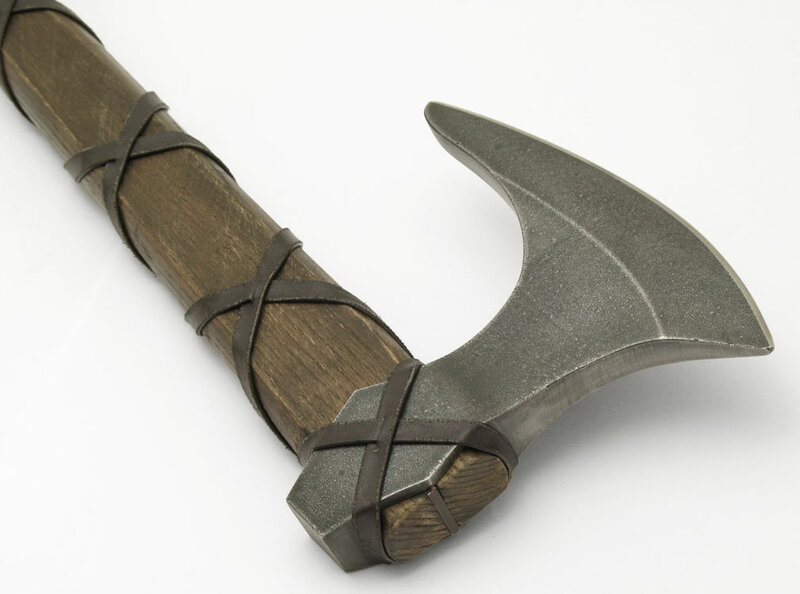 A powerful replica axe from History Channel's hit television show Vikings. 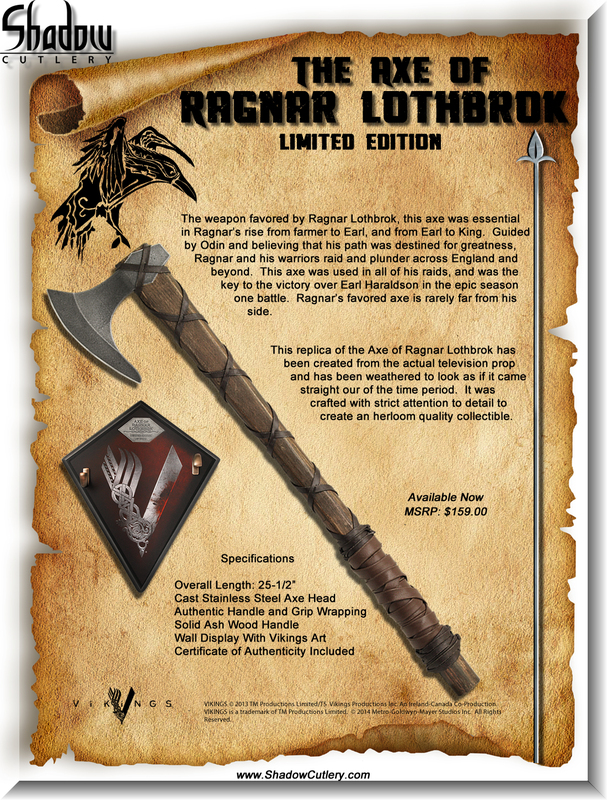 The weapon favored by Ragnar Lothbrok, this axe was essential in Ragnar's rise from farmer to Earl, and from Earl to King. 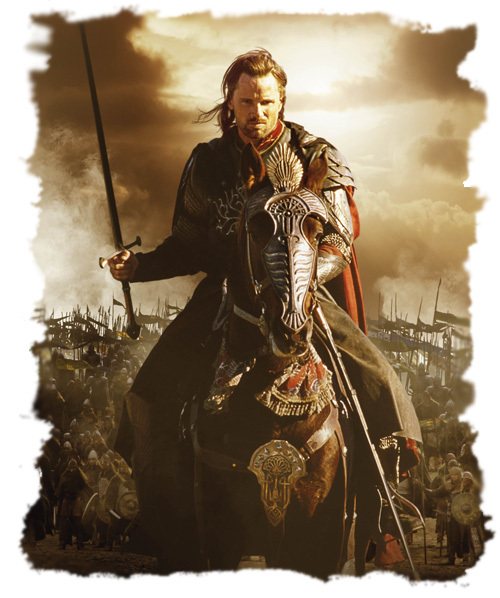 Guided by Oden and believing that his path was destined for greatness, Ragnar and his warriors raided and plundered across England and beyond. 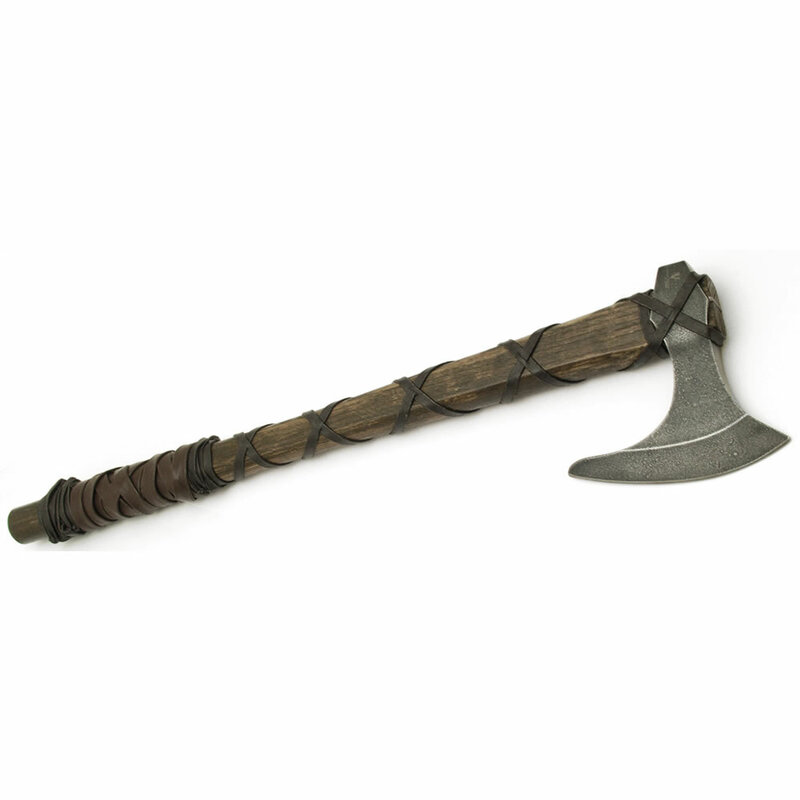 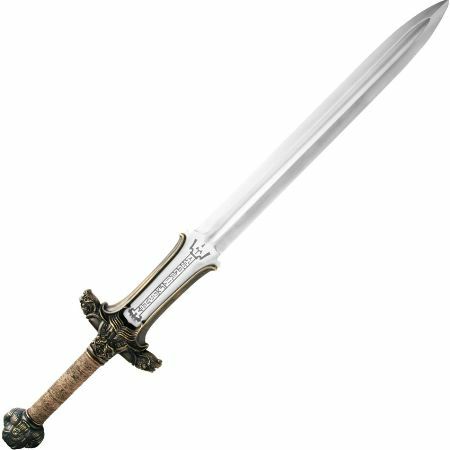 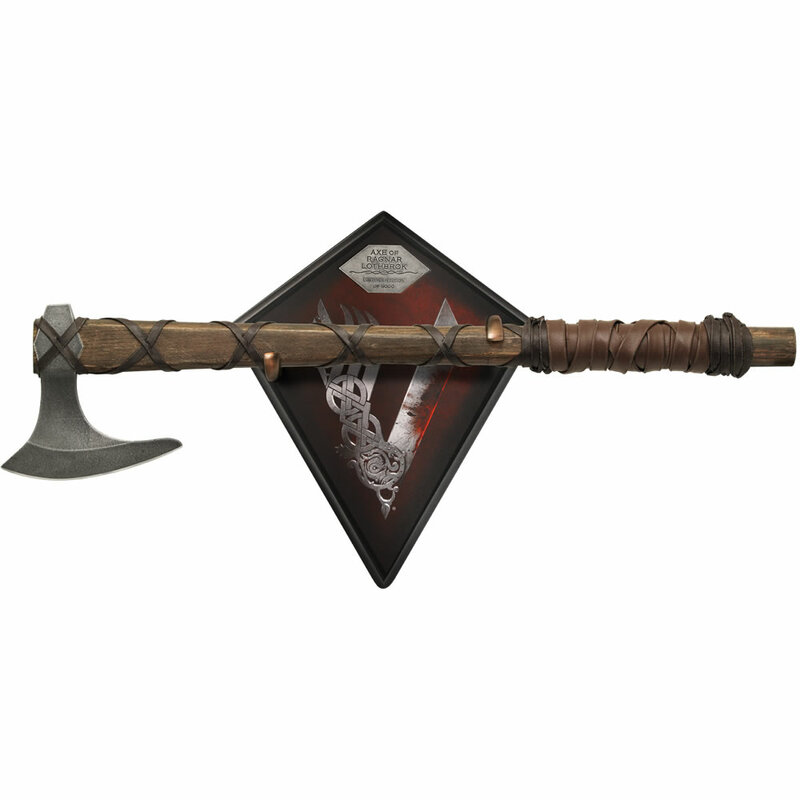 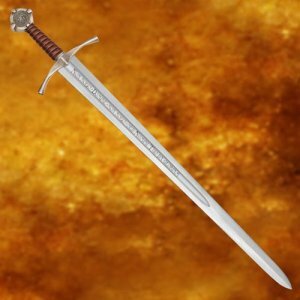 This axe was used in all his raids, and was the key to his victory over Earl Haraldson's in the epic season one battle. 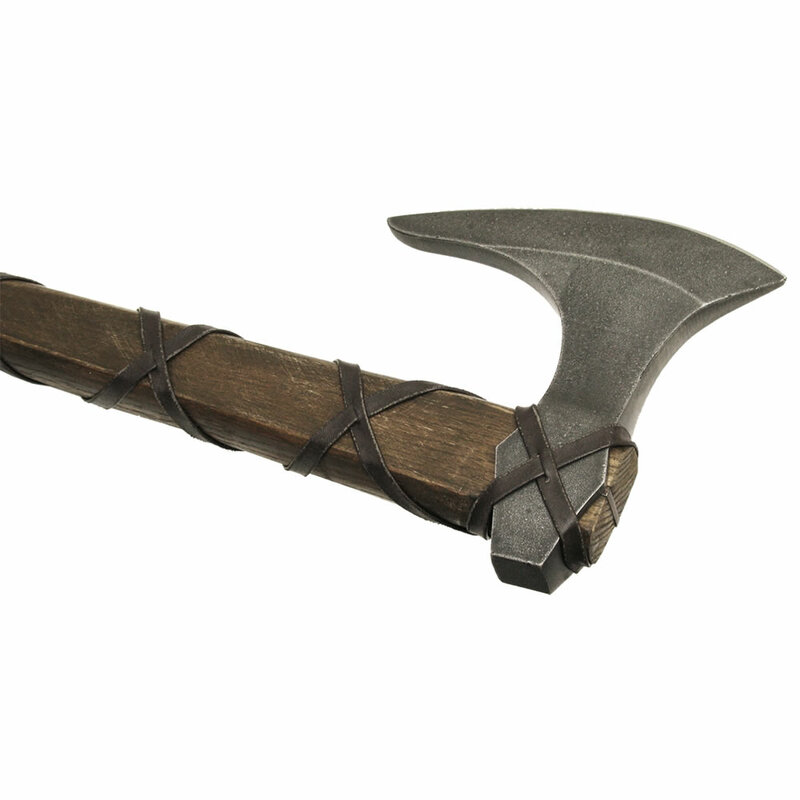 Ragnar's favored axe is rarely far from his side.